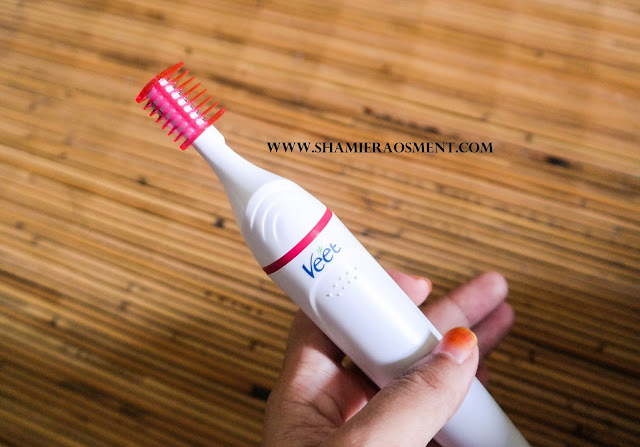 Life Much More Easy with Veet Sensitive Touch Electric Trimmer! Hi beautiful! Hair removal and trimming are one of the essential routine for woman and even though it is an important things to do, not so many brands aware about this woman needs and demand on how we would like to do it. Yes, I mean, we want to do it with more quicker and easier. Understanding women’s need for an easier solution, world’s No. 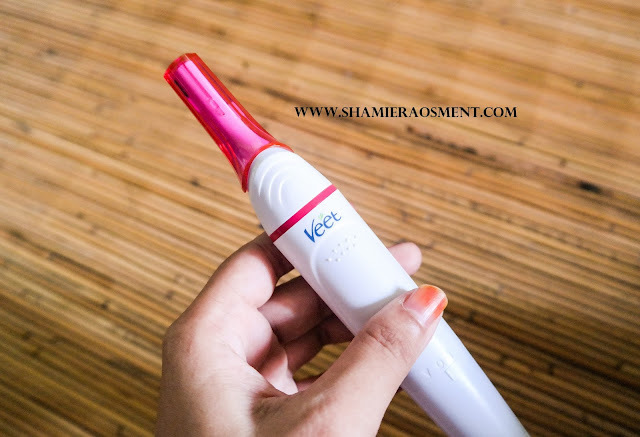 1 depilatory brand Veet has recently rolled out a new beauty gadget - Veet Sensitive Touch Electric Trimmer that makes life much more easy. 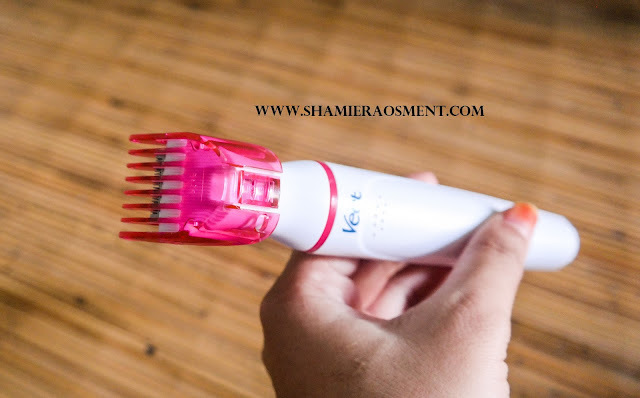 Known as Veet Sensitive Touch, this new gadget is totally a great device that comes with various detachable heads to facilitate accurate and gentle hair trimming at sensitive body parts, such as the eyebrows, underarms and bikini lines. The cutting blades are specially designed to never touch your skin during usage, hence no risk of cuts. Currently, women often shape eyebrows by tweezing or threading, as well as use razors for hair removal at bikini line and underarms. 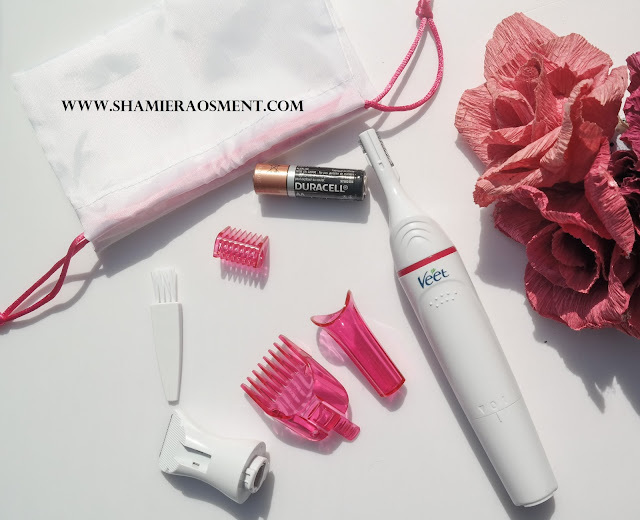 To facilitate this needs each Veet Sensitive Touch comes with one beauty styler, one two-sided precision head for optimal eyebrow shaping, one bikini trimming head, two comb attachments, one styler cap, one cleaning brush, and one beauty pouch. The device runs on an AA battery, which is included in the packaging too. Its Duracell battery too okay? 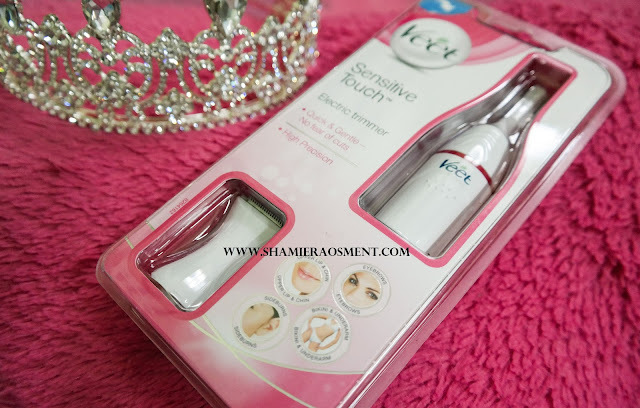 This Veet Sensitive Touch Electric Trimmer are easy to use and also safe. Its razor are not as sharp as the normal blade that in the market. You can safely touch it with your barely finger and it wont cut your finger. Its definitely safe to use and you can ignore all the bad experience you have before this with a razor blade. You also can trim your eyebrow easy with this Sensitive Touch Electric Trimmer.. You can make it neat and fleek within a minutes. But of course you need to be the one who professional - the one that always trim their eyebrow, not like me lah.. You can see my eyebrow so messy.. But this gadget really helps a lot. It make it more easier and of course safe to my sensitive skin. Overall, this gadget is definitely must have items for ladies because it will make your life easier ladies! 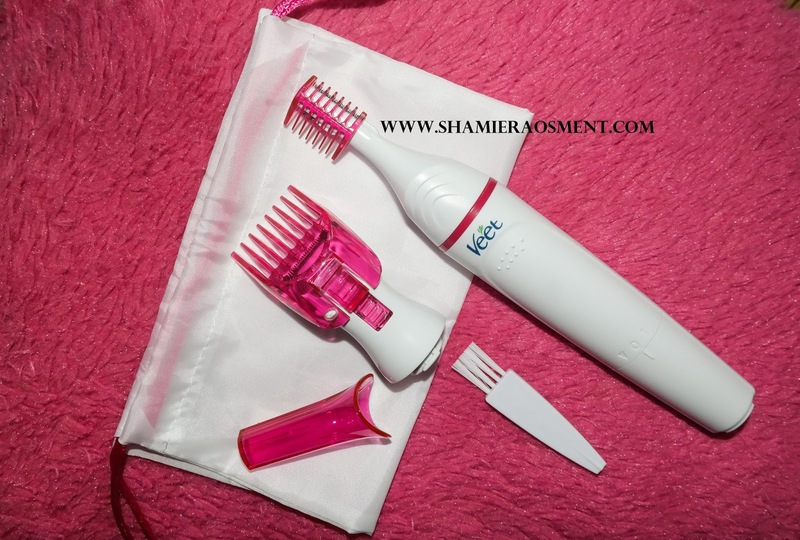 No more nightmare cuts and handiplast usage after shaving and trimming ! You can buy this Veet Sensitive Touch retails at RM119.00 at major pharmacies nationwide and you can also buy it HERE with only RM99 and get FREE Veet Makeup Travel Set! So worth it! Last but not least, Happy Trimming!